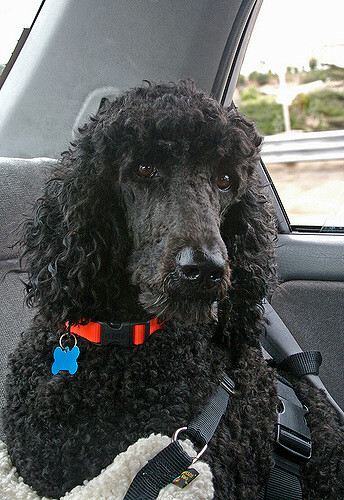 This is the time of year when many pet owners hit the road — or sky or rails — for their summer holidays. Yesterday, our staff did a little trip of their own, over to Donnelly Ford to present their “Road tripping with Rover” session about travelling with a pet and what to do if you can’t bring Rover along. This is an important initiative for the OHS. June is our busiest month with many owners surrendering their pet. It seems that when Fluffy and Rover don’t fit with summer plans, too often they end up in our shelter. We want to help owners find alternatives, whether it be bringing pets along safely or making alternate arrangements. 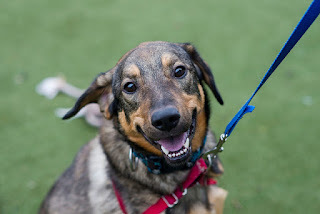 There is a lot to consider for either choice and I would like to share the information with you so that your cat or dog has as good a summer as you do. Medications: Before you leave, consult with your vet. Ensure your pet is in good physical health before you travel. Pick up refills of any medications your pet will need while you are away. Ensure all medications are clearly labeled and kept in their original packages. 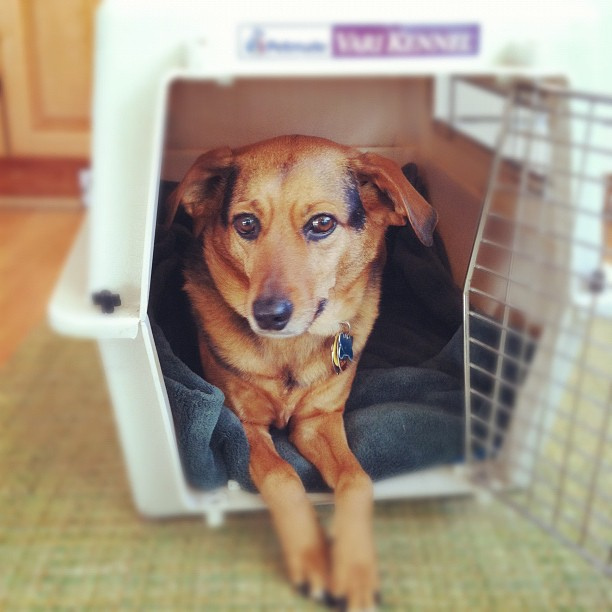 Kennel or carrier: Some accommodations ask that you kennel your pet if you are going out and leaving him in the room. This request is sometimes made in order to ensure the safety of your pet while left alone in the room (if they allow pets to be left alone), and also to ensure that their property is not at risk of being destroyed. The kennel is also a safe way for your pet to travel. Food and water: Keeping your pet on the same diet that he's accustomed to will help to prevent the dreaded diarrhea or vomiting. Can opener: if your pet is fed canned food. Stain remover/cleaning supplies... just in case! Please be courteous and clean up as much pet hair, etc. as you can. A good quality lint brush or pet hair roller is always useful! Plastic bags or litter box/scoop so that you can clean up after your pet. Grooming tools including a comb and/or brush, nail clippers, pet shampoo, and anything else your pet may need. Extra towels for wiping those muddy paws and wet or dirty bodies! Collar and leash(es): Consider bringing an extra leash just in case one of them breaks. Identification. Be sure to record the license numbers, tattoo numbers, and microchip numbers of your pets and bring this list with you. It's important, too, that your contact information is up-to-date. Recent photo. If your pet is lost while you are traveling, the photo will come in handy when describing him to others. Also jot down any unique identifying marks — be specific. Microchip information. If your pet doesn’t have one, you can visit our monthly microchip clinic. Vaccination records and other documents. If you are travelling to and from another country, such as the United States, be sure to check what types of vaccinations your pet will need. Bring an up-to-date record with you. Any other pertinent certification papers. First aid kit: You can purchase an animal first aid kit or assemble a pet first-aid kit yourself. Never leave your pets in an unattended car. Come prepared. Be sure to ask hotels/campgrounds, etc. to ensure that they are pet-friendly, and to ensure that you bring all of the necessary paperwork and tools required. For example, some accommodations may require the Canadian Good Citizen Certification, while American hotels may require the Good Neighbor certification. They may also require vaccination records, and they may charge an extra fee. Hotels often require that pets be kept in crates as well; it depends on the hotel or camp ground. Take care to inform yourself on what is required of you as a pet owner. Many pets are given up at vacation time because of a perceived inconvenience. Thousands of pets who were left with “pet sitters” are lost each year. A little forethought would have prevented these things from happening. Here are a few helpful hints about holidays and how to make them safe and enjoyable for your pet. Take time to explain your pet’s routine to the sitter and include a list of written instructions of what to do if the pet is lost. Whether you choose a pet-sitter or a kennel service, be sure to notify your veterinarian of your absence, and who is authorized to make medical decisions for your pet in the meantime. Also notify the caretaker of your pet that in the case that you cannot be reached, that they are authorized to approve up to a certain amount of money to be spent on emergency medical expenses, and that the veterinarian has been notified of the parties who are authorized to make decisions if medical intervention is required while you’re away. Ideally a relative or a friend who knows your pet (or gets to know him/her before you leave and will be with him/her most of the day). Before you go, leave an adequate supply of food, grooming instructions, exercise routine and veterinarian’s (including emergency clinic) telephone numbers. Also inform your microchip provider of the temporary contact numbers. If possible, leave your itinerary and phone numbers. Make sure your pet is wearing a collar and tag and has had all vaccinations. Phone your sitter a couple of times to check-in. Many agree to stop by each day to feed, water and exercise your pet. Make sure you entrust this duty to a responsible person (some students do this for a summer job). Get references. This is a relatively new field and is an excellent alternative to kenneling, especially for cats who often don’t do well out of their home environment. Talk to friends and family and find out if they can recommend someone. Always check references and look for someone who is bonded. Are the cages clean and large enough for your pet? Do the kennel owners insist on all vaccinations? How often will your pet receive exercise? What kind of exercise? Is the boarding agreement complete and satisfactory? Always leave a list of emergency phone numbers for the pet-sitter or kennel service, which includes your phone number, your pet’s veterinarian’s phone number, an emergency after-hours veterinary phone number, and the phone number of an emergency contact in the case that you cannot be reached. Always leave medical, vaccination, and microchip documents with the pet-sitter or kennel service. Whether you choose to have your pet looked after by a pet-sitter, a drop-in neighbor, or a kennel, always leave information on how much money they are allowed to approve in case of emergency veterinary expenses. If you cannot be contacted, it is important that clear instructions are left for the party responsible for your pet while you are away. 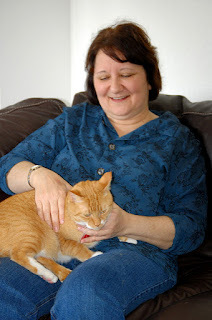 Provide the contact info of your pet sitter, and who is authorized to make medical decisions in your absence.